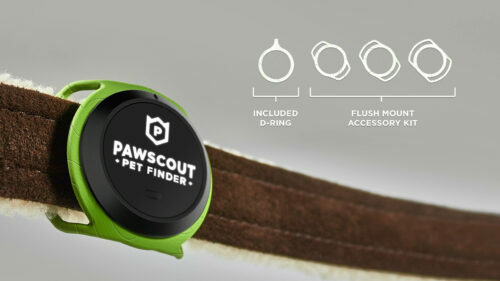 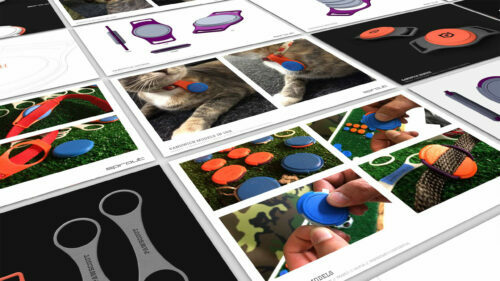 Sprout partnered with Pawscout to design the Pawscout, a community based digital pet tracker. 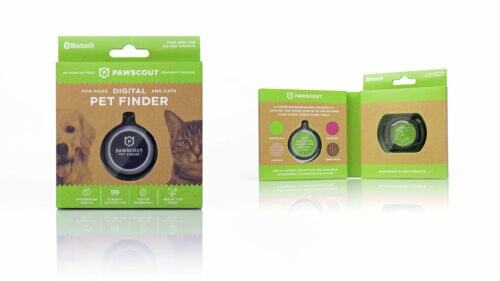 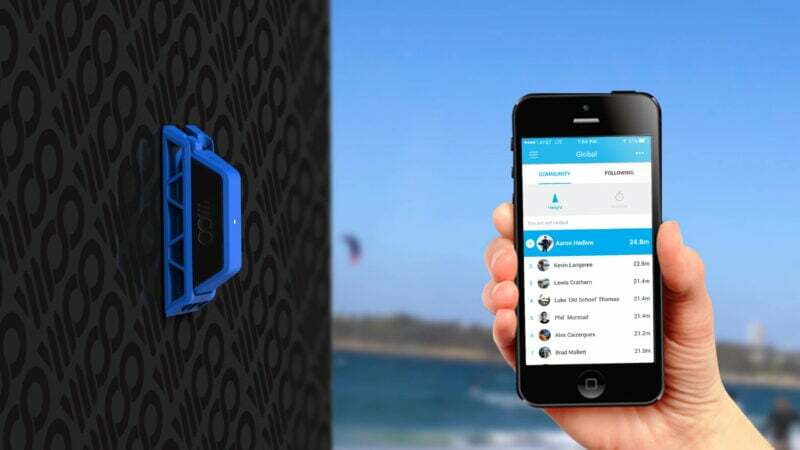 The Pawscout attaches to any pet’s collar and uses community based pet finding (similar to Waze) via Bluetooth® to enable a worldwide tracking network that automatically notifies owners when a lost dog or cat comes within 200 feet of anyone who has the Pawscout app. 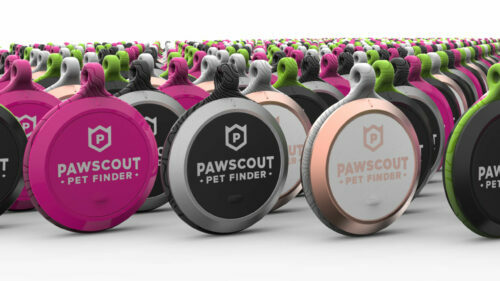 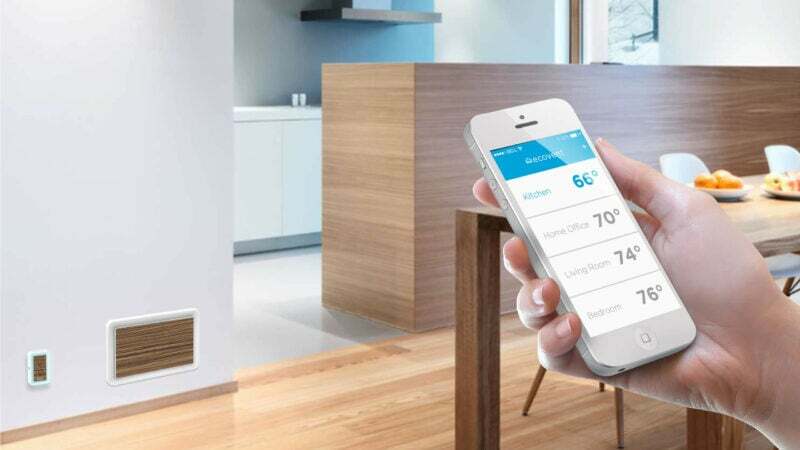 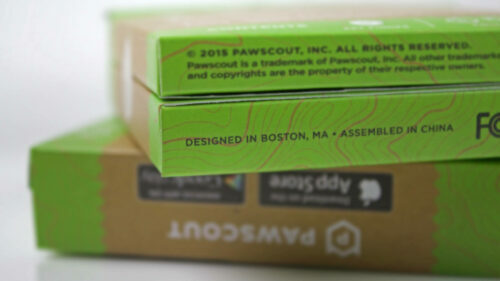 Additionally, the Pawscout acts as the key to an ecosystem of connected smart pet products for the home. 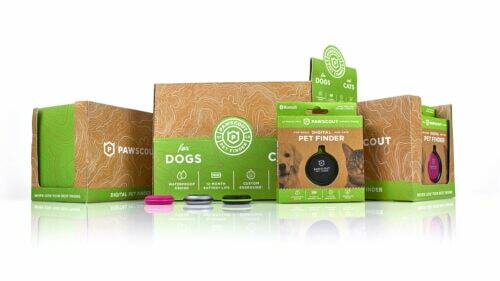 Rather than focusing on being an ‘anything tracker’, we designed the Pawscout product, brand and experience to be specific to pets and their owners. 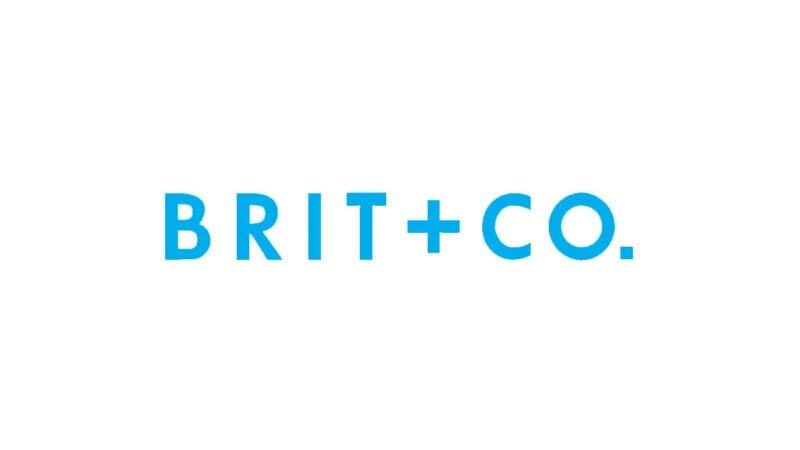 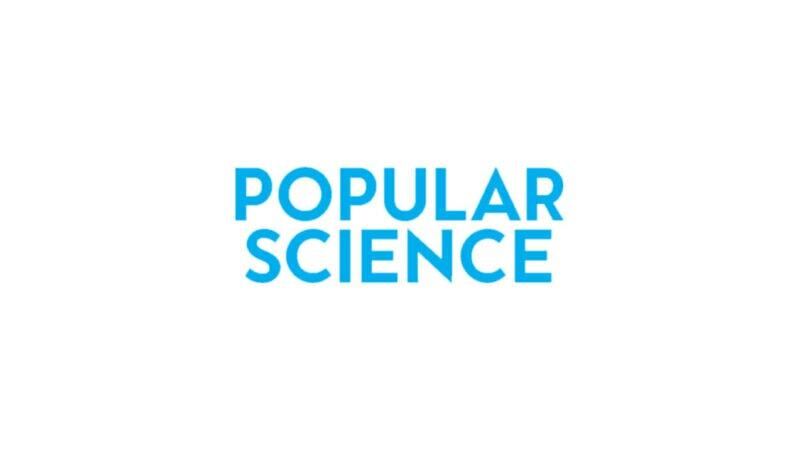 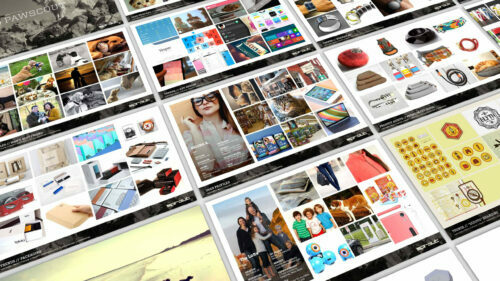 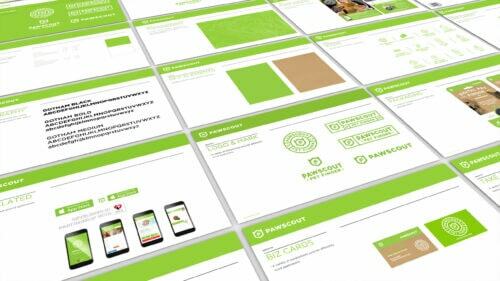 This allowed us to create an authentic brand that caters to a specific user group and audience. 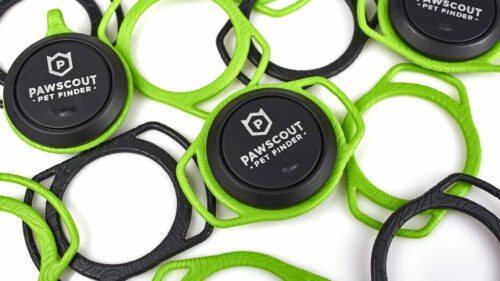 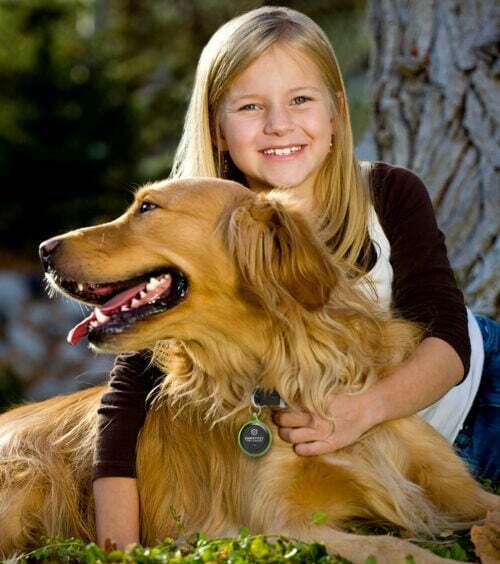 Pawscout has created a community of pet protectors that help to keep pets safe. 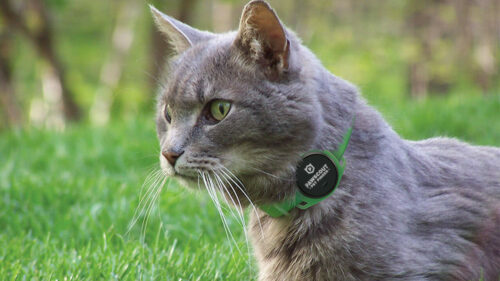 Not only is the Tag equipped with enough technology to locate lost pets via Bluetooth®, it also acts as a traditional pet ID tag as well. 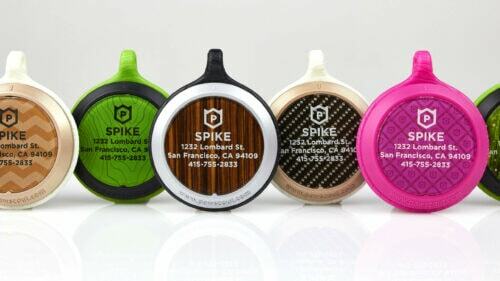 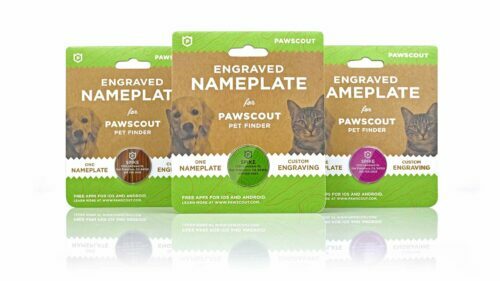 Each nameplate is custom laser engraved with the pet’s name, address and phone number to replace conventional dog tags. 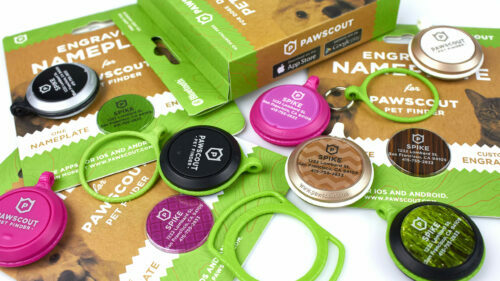 The pet’s info is engraved on the backside of the acrylic nameplate to avoid dirt from getting in. 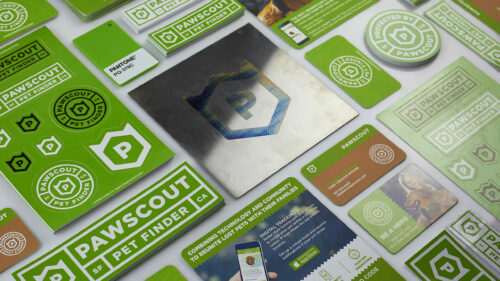 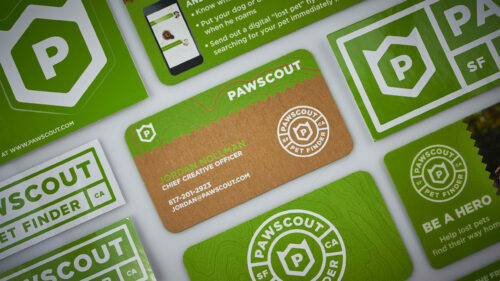 Pawscout was launched in conjunction with the SFSPCA, Pawscout acts as the center of a pet finding community. 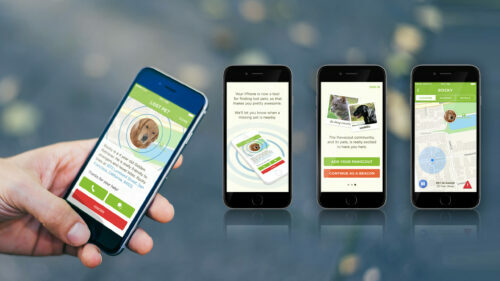 A pet is lost every 7 seconds, and by helping to build a community devoted to finding the animals and returning them home, Pawscout is able to ensure that no one loses their beloved pet. 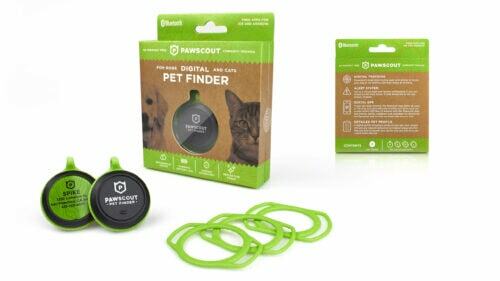 This provides owners with invaluable peace of mind in regards to their furry family members. 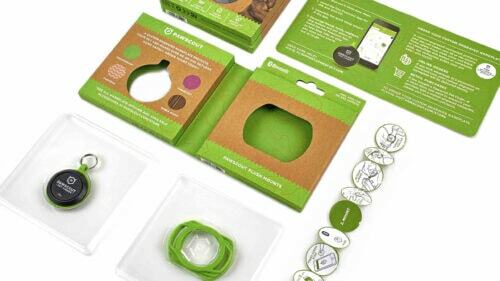 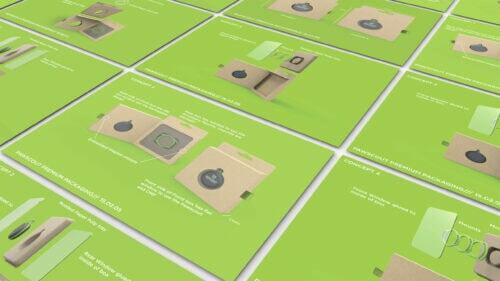 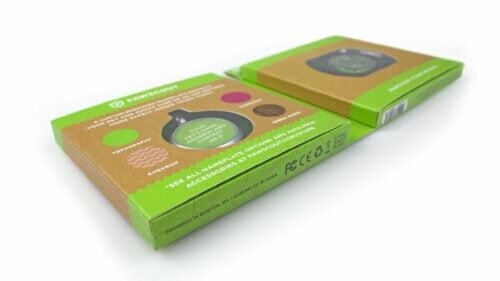 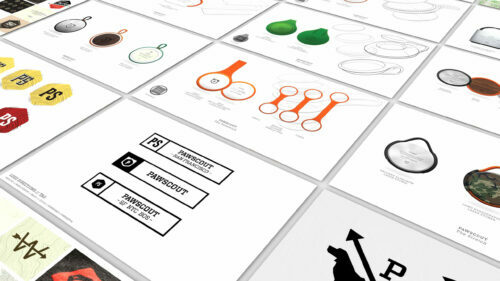 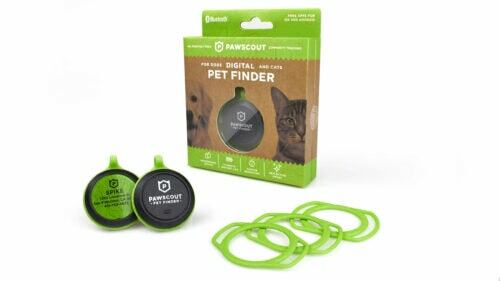 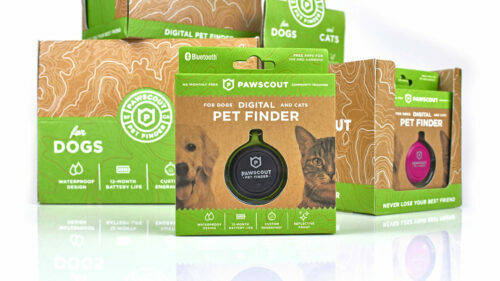 Pawscout came to Sprout to holistically design the product, brand, package and digital (web & app) experience for its revolutionary Smart Pet Tag. 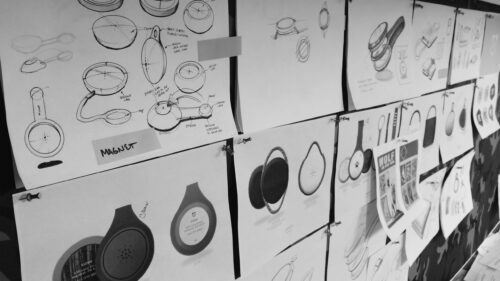 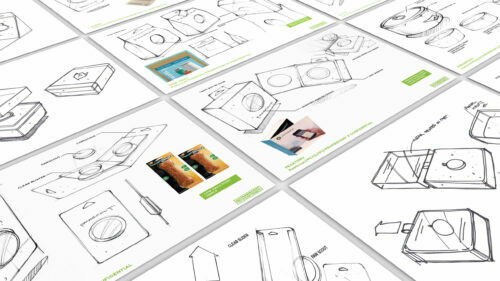 For the product design, we were challenged to create a recognizable and iconic form that would be much more affordable than anything else on the market. 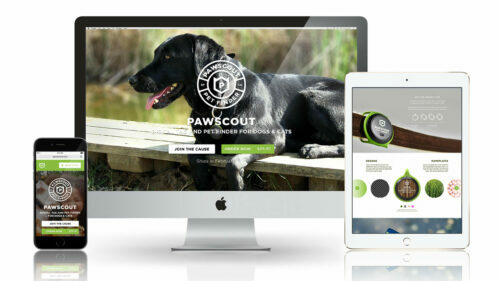 In order to provide peace of mind to as many users and their pets as possible, Pawscout was designed to be mass market ready while maintaining a premium look and feel. 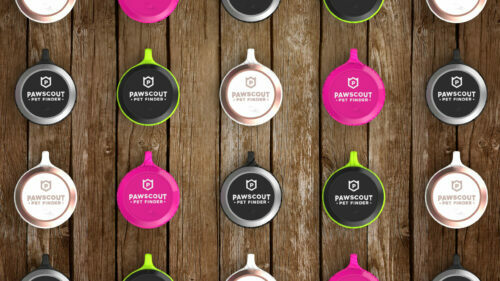 The overall design of the Pawscout was meant to create a consumer experience that felt familiar to pet owners while still conveying a sense of trust and protection for beloved pets. 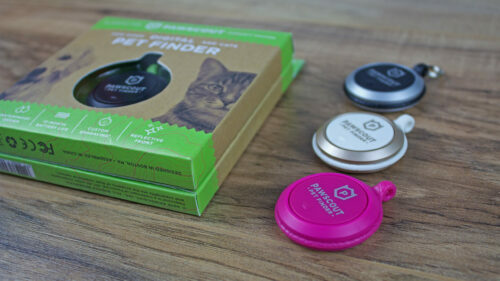 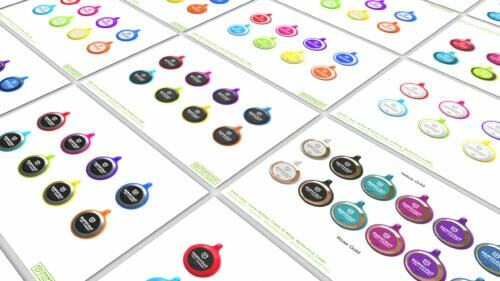 The circular form was chosen both for aesthetics and to create a waterproof gasket seal allowing pet owners quick and easy, ¼ turn access to the replaceable battery. 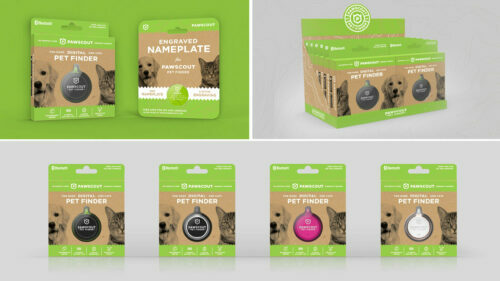 The overall design was intended to reflect a traditional analog pet tag, while subtly showcasing the technology inside. 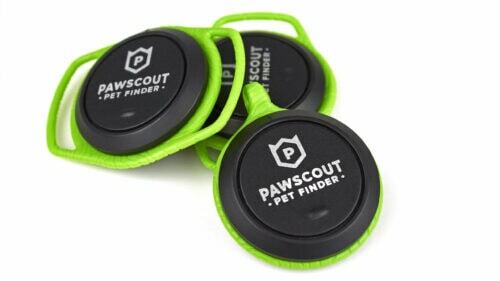 The front housing has been co-molded using a soft-touch silicone rubber in the center and durable ABS outer. 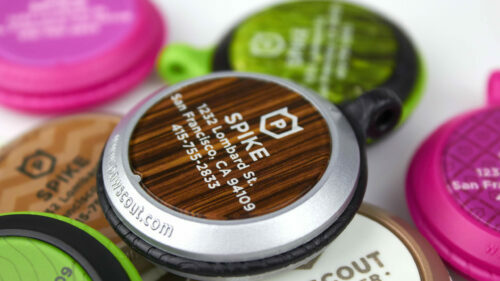 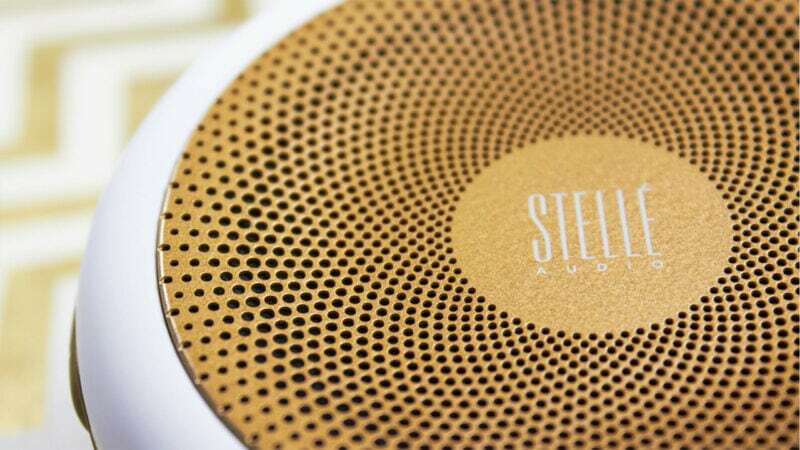 The center incorporates a reflective logo, LED and multifunctional button. 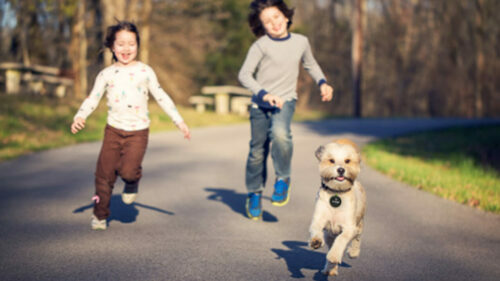 The chamfered outside is strong enough to withstand anything that Fido can throw at it. 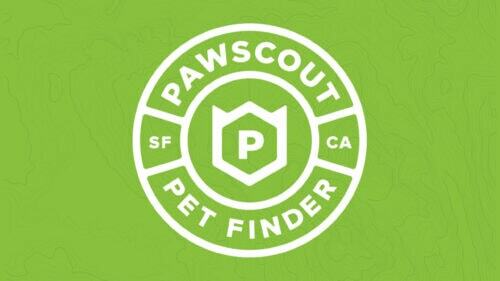 The rear housing incorporates a slightly raised open / close registration mark and website address to help direct a pet rescuer to the Pawscout site and App if they don’t already have it. 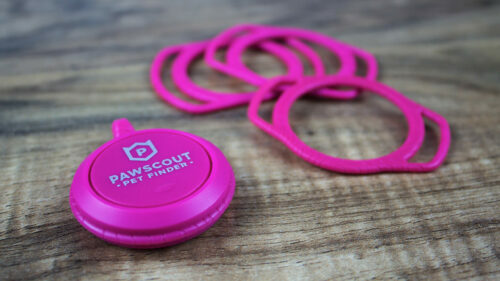 There is also a circular recess with a small notch for alignment for the customized nameplate to be inserted once the pet’s information has been laser engraved. 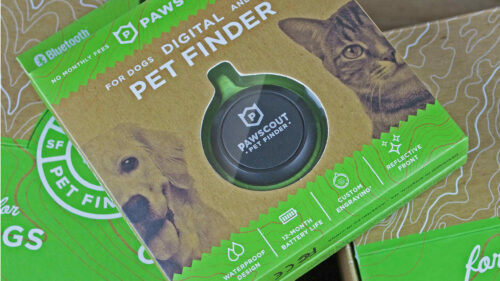 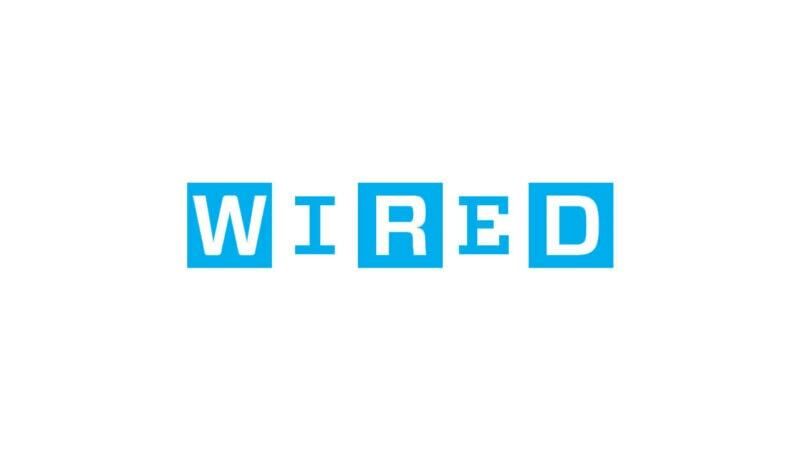 DOES YOUR PRODUCT OR BRAND NEED HELP FINDING ITS WAY?